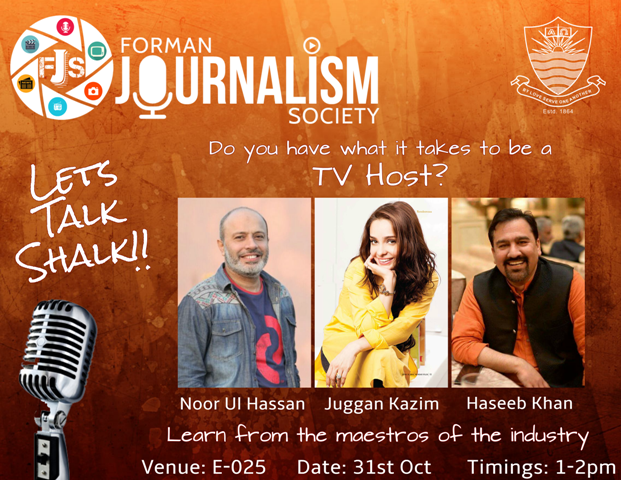 FJS brings to you ‘Lets Talk Shalk’ an interactive session with the best TV hosts. 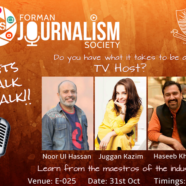 A continuation of FJS’ J-Talks series. 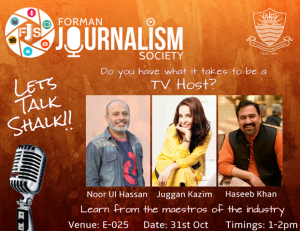 Be there to interact with Juggun Kazim, Noor ul Hassan and Haseeb Khan in E-025 during 01:00 to 02:00 PM.